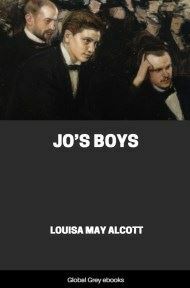 Little Men, or Life at Plumfield with Jo's Boys, is a novel by American author Louisa May Alcott, first published in 1871. 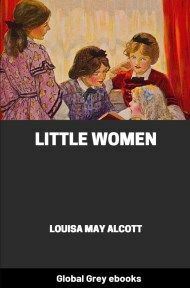 The novel reprises characters from Little Women and is considered by some the second book in the Little Women Trilogy. 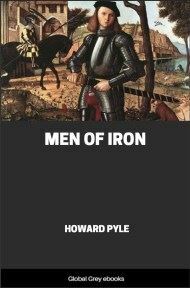 The book recounts six months in the life of the students at Plumfield, a school run by Professor Friedrich and Mrs. Josephine Bhaer. 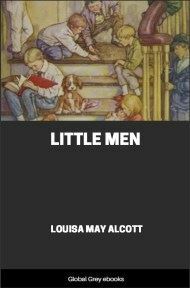 The idea of the school is first suggested at the very end of part two of "Little Women", when Jo inherited the estate from her Aunt March. 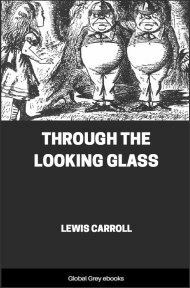 The man spoke pleasantly, and the boy went on, feeling much cheered by the words. Through the soft spring rain that fell on sprouting grass and budding trees, Nat saw a large square house before him–a hospitable-looking house, with an old-fashioned porch, wide steps, and lights shining in many windows. Neither curtains nor shutters hid the cheerful glimmer; and, pausing a moment before he rang, Nat saw many little shadows dancing on the walls, heard the pleasant hum of young voices, and felt that it was hardly possible that the light and warmth and comfort within could be for a homeless "little chap" like him.